Dual Brown Colour Lenses, also known as Brown 3, features three-layer colour pigment, instantly making your eyes look bigger and more attractive. 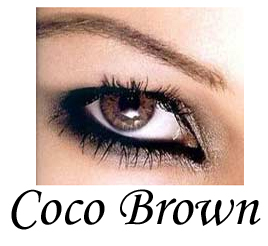 Give your eyes an up do with Coco Contact’s Dual Coco Brown lenses. Match it with your hair or you outfit for the day. Its 3-layer brown pigment immediately opens up your eyes and makes it look more attractive. Get your pair now only at cococontacts.com. The Dual Coco Brown lenses were formerly known as Brown 3.